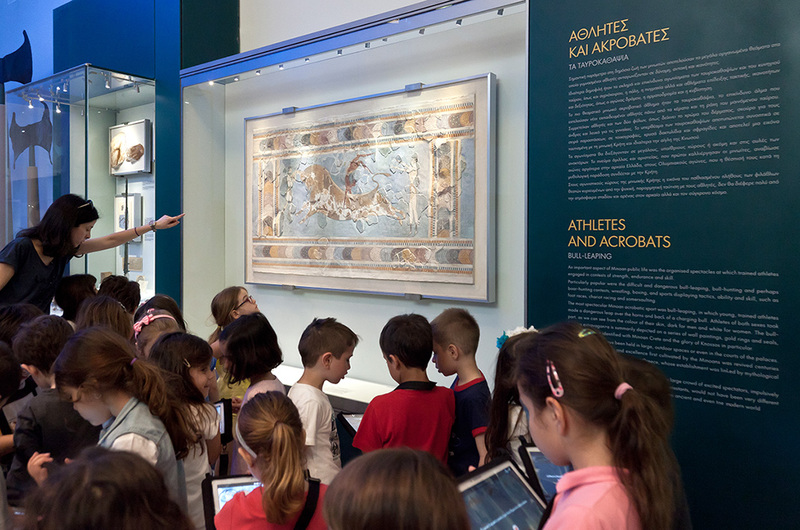 In 2015, Herakleion Archaeological Museum supported by European funding, developed two educational programs, which are provided gratis to pupils of Elementary and Middle School (age range 9-10 and 13-15 years old). 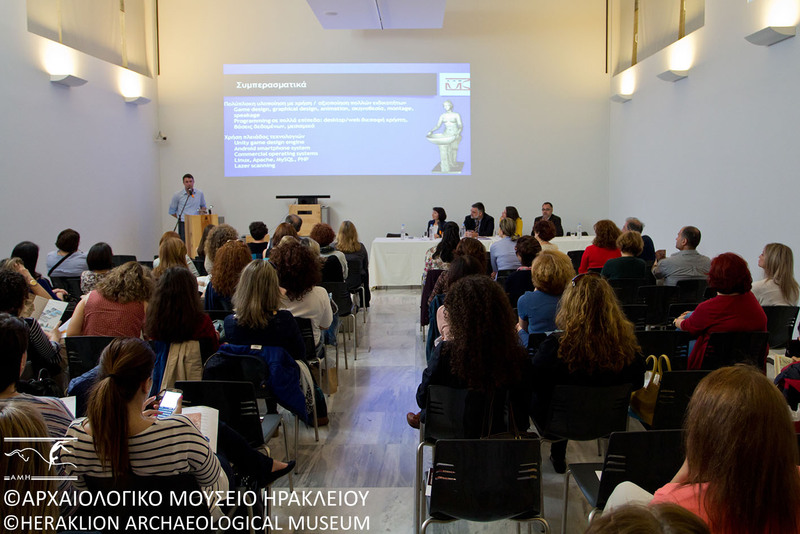 Age groups were decided based on survey data of school visits to the Museum. Both Educational Programs are implemented entirely by exploiting the benefits of Information and Communication Technology. 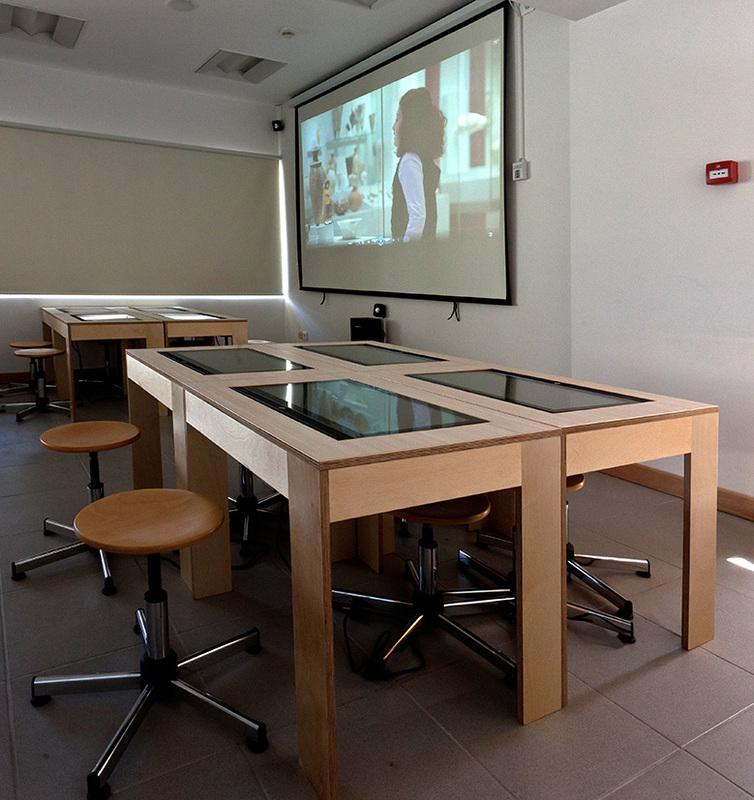 Educational experiences are structured on tablets, all-in-one pc, and 3D movies, thus gaining proximity to the young audience. 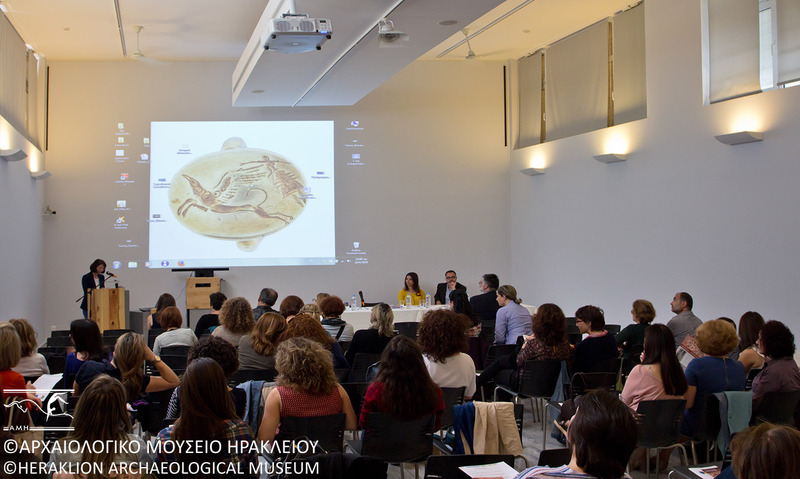 At the same time the programs enable the integration of real Museum objects into the content of the education curriculum. The program addressed to Primary Education pupils is titled “A feast in the palace”. Participants “follow” a child of the Minoan period in his way from his neighborhood to the palace in order to be part of a large feast. 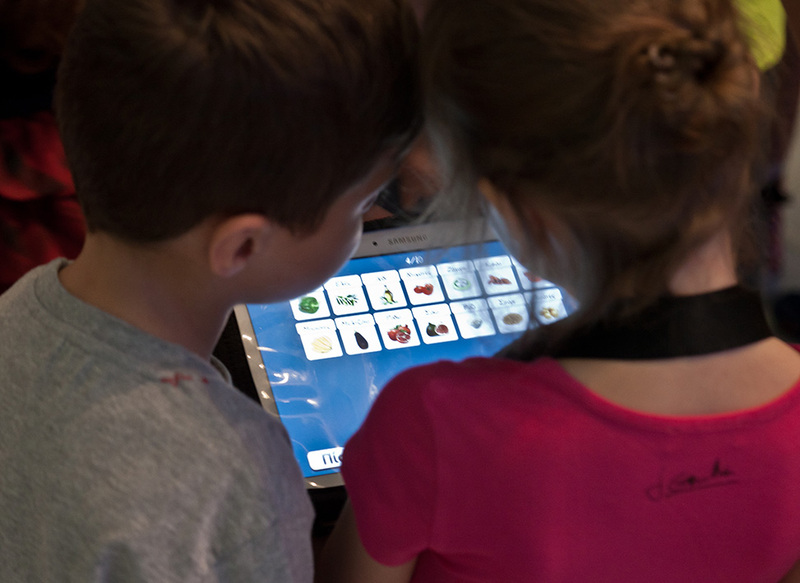 Through this imaginary digital adventure, children must follow the “trails” in the Museum’s galleries and showcases, in order to complete a series of activities based on museum exhibits. The program for Secondary Education is titled “Travelling in the Mediterranean Sea”. Participants become members of a commercial ship crew that travels in time, from Prehistory to the Roman Era, around the Mediterranean. Students digitally bargain, exchange, and become familiar with non-local materials, techniques, and beliefs that circulated through maritime trade in antiquity. All devices used during the program are provided free on site. 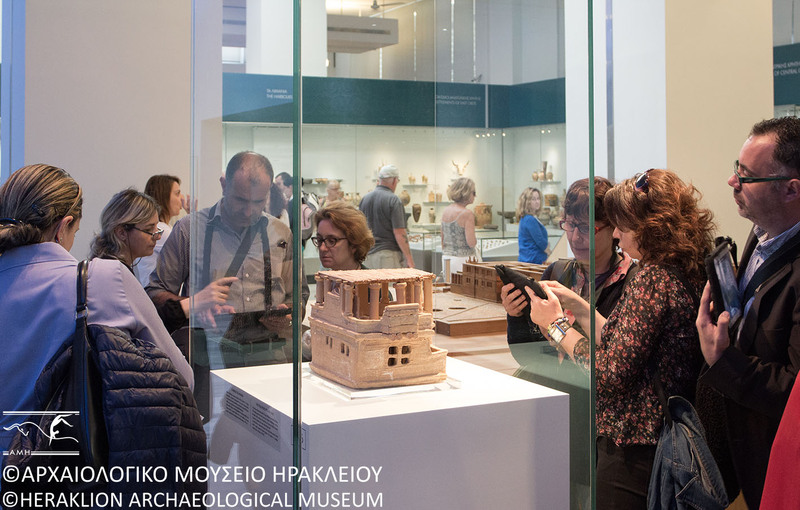 Visiting groups are accompanied by an archaeologist of the Museum’s staff. 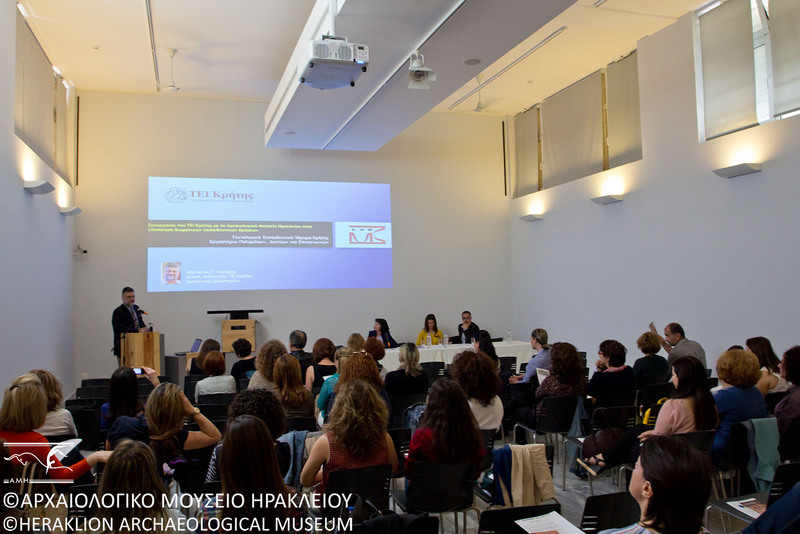 The digital educational programmes implemented by the Heraklion Archaeological Museum in cooperation with the Multimedia, Networks and Communication Laboratory of the Technological Educational Institute of Crete, in the framework of the ERDF Operational Programme “Education and Lifelong Learning” (“Experiential Cultural Environments” action), were presented to the educational community at a one-day seminar on 23 April 2016, following the appropriate notification via the Directorates of Primary and Secondary Education. 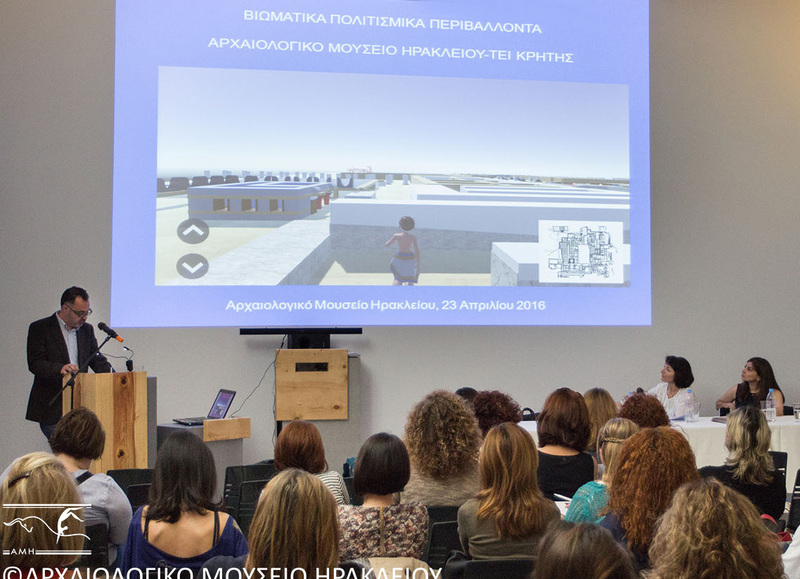 Apart from the two digital programmes “A Festival at the Palace” and “Journeying through the Mediterranean” for 3rd and 4th-year Primary and Gymnasium students respectively, the project members also presented the theoretical museum education framework within which they worked. 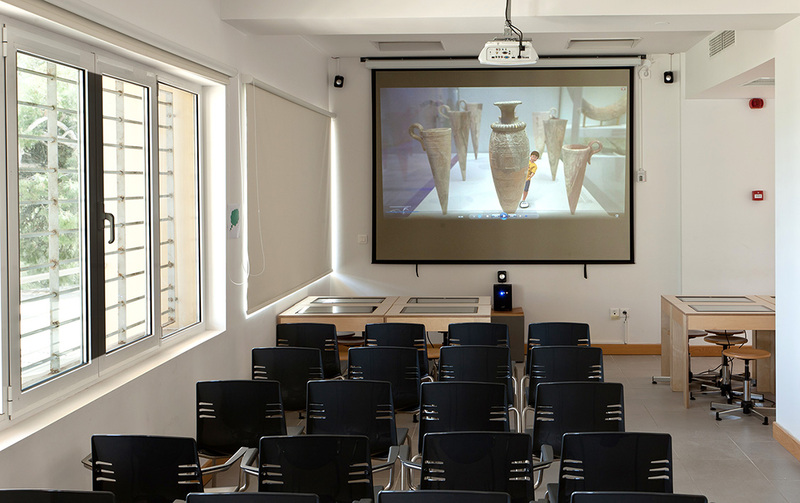 There followed the application of the programmes by the teachers, using digital technology, in the exhibition rooms of the Museum and the educational programme room. 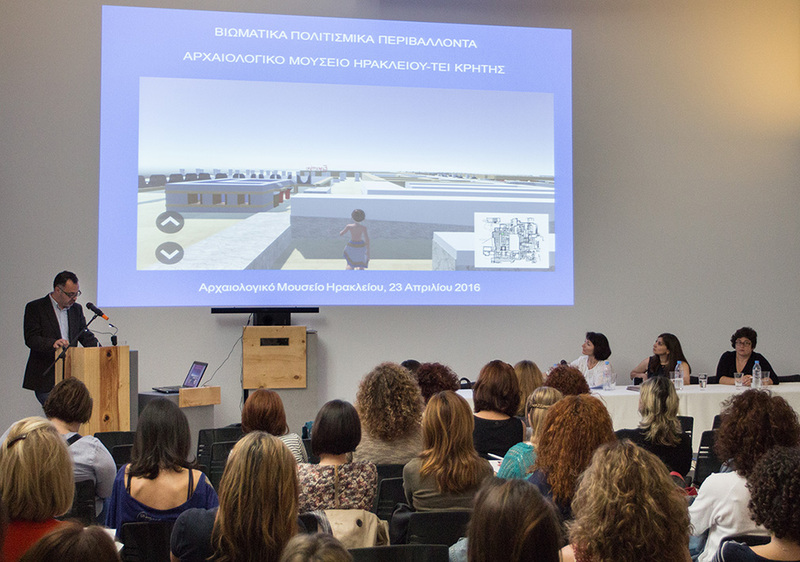 The seminar was attended by 120 teachers and representatives of educational bodies, who commented particularly favourably on the educational programmes and submitted proposals regarding future educational events.